Koko Head Crater railway trail is a popular but difficult out and back trail (1.8 miles) that heads directly up the southwest face of the Koko Crater. Koko Crater is an ancient volcano that last erupted some 30,000–35,000 years ago. This 1000 plus stair trail hikes along abandoned railroad ties climbs up to a panoramic 360-degree view of including Hanauma Bay, Hawaii Kai, Koko Crater Botanical Garden, and the Makapu’u Light House Trail. The start of the hike is at Koko Head Park, Hawaii Kai where you can see the sweaty smiling faces of those who have been enjoying the downhill leg of the hike. This dirt/paved trail quickly leads the start of the railroad tracks, take a moment to make out the ant-sized people at the top of the hike, you’ve got this. Heading up the tracks be sure to watch your footing as the well-worn railroad ties can get quite slippery. This is not the place to wear flip flops… Halfway up is the railroad bridge where the ground slips away and you are left carefully step across the bridge. This bridge is not for the faint of heart so if you are feeling a little shaky take the detour around the side of the tracks. After the bridge, the hike get’s steeper so take a break and turn around as you can get your first glimpse of Hanauma Bay. 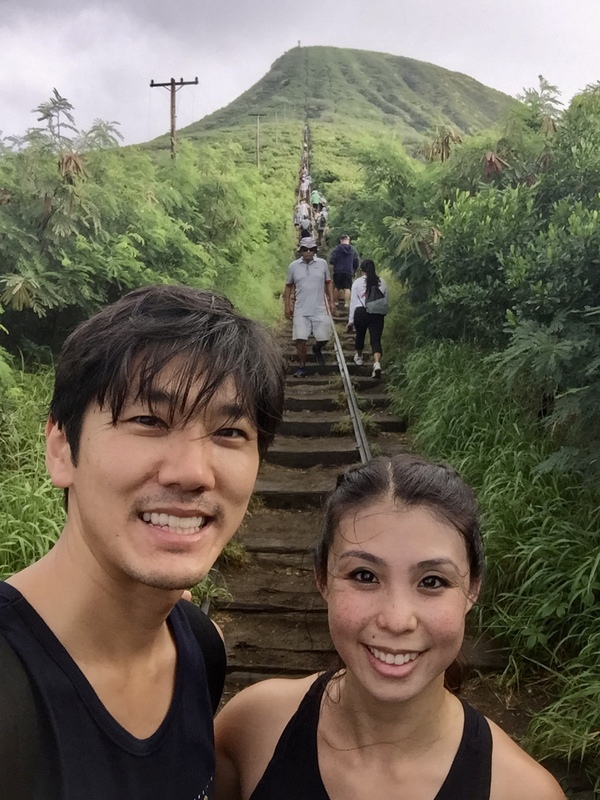 At the top of the railroad tracks enjoy the view of the crater and Hawaii Kai but don’t forget to keep going. Weave your way up to the metal platform and enjoy the view. When you head back down be sure to give the right of way to the uphill peeps, they were you once. Wear good walking shoes, bring water, and wear a hat and sunscreen. It can get packed on the trail and parking lot. Go early!